We make finding a condo, apartment or townhome in Jacksonville fast and easy with our FREE apartment locating service. There are many great reasons for coming to Jacksonville, Florida – so many reasons, in fact, that many people come for extended stays or decide to relocate to Jacksonville. 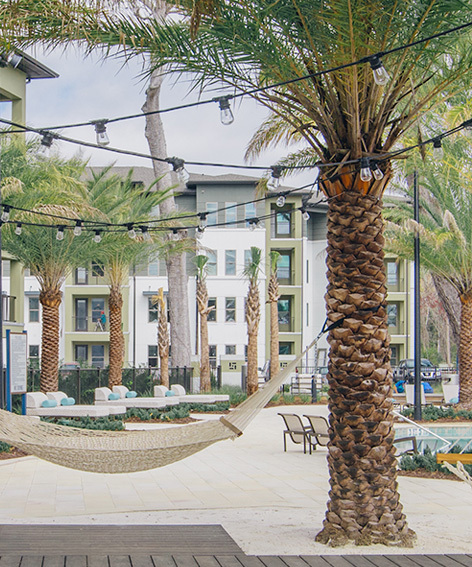 Whether you are temporarily relocating for just a month, or whether you intend to make Jacksonville your permanent home, you can benefit from an apartment finder service. Jacksonville has many great properties available for rent! Leasing Jacksonville makes finding a condo, apartment or townhome in Jacksonville Florida fast and easy with our FREE apartment locating service. Jacksonville, FL apartment finders are critical to your rental search. Leasing Jacksonville agents are Jacksonville apartment finders who know a lot about Jacksonville, its neighborhoods, and its properties. They have access to thousands of property listings and they will talk with you and find out what you are looking for and then get started on finding a property that meets, and often exceeds, your expectations! Leasing Jacksonville agents will set up appointments for you to tour properties until you find the one that you want and they will help you complete all of the paperwork to secure the rental. Special accommodations such as pets or specific location requests can be easily accommodated by your apartment locators. Jacksonville, FL has the property that is right for you and your Leasing Jacksonville agent will find that property for you in a way that saves you time, energy and money. All of these benefits are provided at no cost to you. You pay nothing. You will be matched with the property that you is right for you, without your having to do any of the time-consuming — and often frustrating — leg work that goes into finding that property. If you are interested in renting property in Jacksonville, apartment locators are important to your search. Leasing Jacksonville apartment finders take all of the guesswork out of finding a property. Great Selection of ApartmentsOur database is constantly updated so we always have thousands to choose from. It's hassle-FreeWe'll do the search, set up appointments and hep with the paperwork. Save TimeRelax and let us do all the work. We know JacksonvilleAnd can advise you on finding a great affordable apartment, townhouse or condo in a great area. Friendly serviceOur professional agents are not only nice they are also licensed Leasing Agents. No matter what you are looking for, we can work with you to find a home in Jacksonville. We know all about apartments in Jacksonville, FL. If you are looking for an unfurnished apartment in the Jacksonville area, please contact Leasing Jacksonville at 904-646-9900 for information. If you are interested in corporate housing or furnished short term rentals then please call Corporate Suite Shoppe at 904-363-2346 to speak to a friendly and knowledgeable agent about your housing needs. No matter what your short term housing needs, Corporate Suite Shoppe and Leasing Jacksonville can help you achieve your goals and find a comfortable home. Welcome to Jacksonville! If you’re looking for an executive condo or an executive home with the perfect attributes for entertaining, a rental finder service can help you. Provide your “must have” list and save time when your agent provides details for you from a constantly updated database with thousands of listings. Contact Leasing Jacksonville for your free rental locating service at 904-646-9900 for information.